(CBS/WKMG/AP) ORLANDO, Fla. - On Tuesday, after a forensic expert testified about heart-shaped stickers found in Casey Anthony's bedroom, a tattoo artist testified about a tattoo he gave Anthony on July 2, 2008 that reads "Bella Vita." Bobby Williams, the tattoo artist, said he has known Anthony for seven years and that she called a few days ahead of time to make the appointment. "Bella Vita" means "beautiful life" in Italian, reports CBS affiliate WKMG. Anthony got the tattoo while her daughter Caylee was still missing. Williams testified that Anthony seemed happy when she came into the shop. Several of her friends have previously testified that her demeanor remained upbeat during the time that Caylee was missing before it was reported, the station reports. Williams said Anthony told him Caylee was with her nanny, but when she made another appointment for July 19, 2008, she said Caylee would come with her for that. Caylee was last seen in mid-June and reported missing on July 15, 2008. Anthony was arrested on July 16. The state said it will present the definition of "Bella Vita" to the jury on Wednesday and then rest its case early that day. The jury will then be excused for the day, then the defense will argue its motion for acquittal. The defense said it will be ready to begin presenting its case on Thursday. Anthony, 25, has pleaded not guilty to first-degree murder in the death of her 2-year-old daughter and could face a death sentence if convicted. 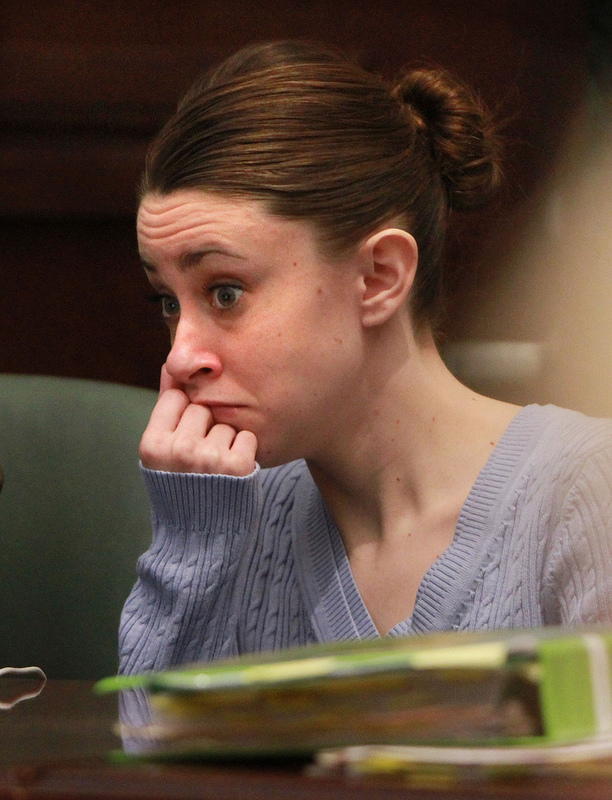 Prosecutors contend Casey Anthony suffocated Caylee with duct tape, while the defense says she drowned in her grandparents' pool. Caylee's remains were found in a wooded area near the Anthony home in December 2008.